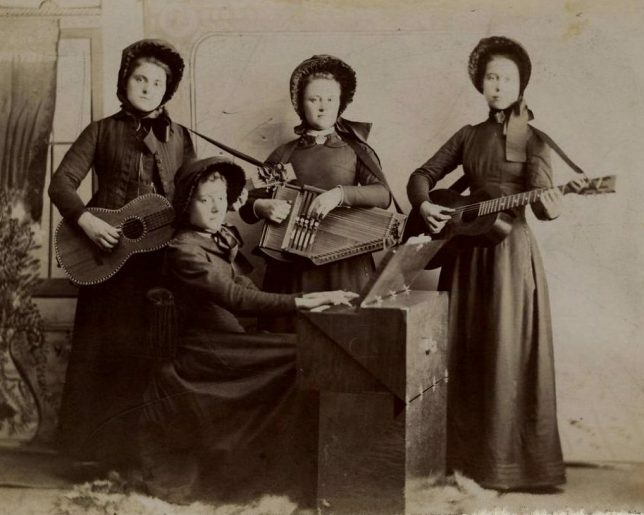 Salvation Army Band – Four women with two guitars, an autoharp, and a portable reed organ. 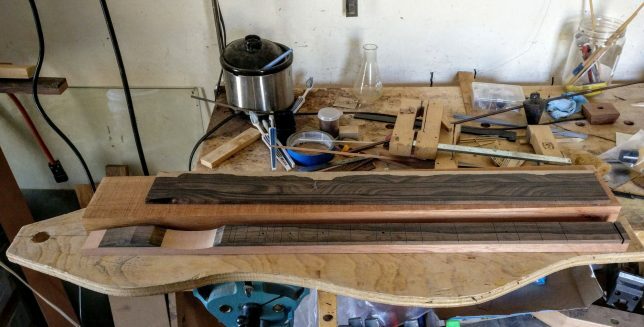 On the bench is a curly black walnut dulcimer with a zircote fingerboard. I rarely find black walnut with this kind of figure. I was going to set up this dulcimer a few days ago but decided it could use another coat of finish. Today I will rub out the finish and start working on the setup. 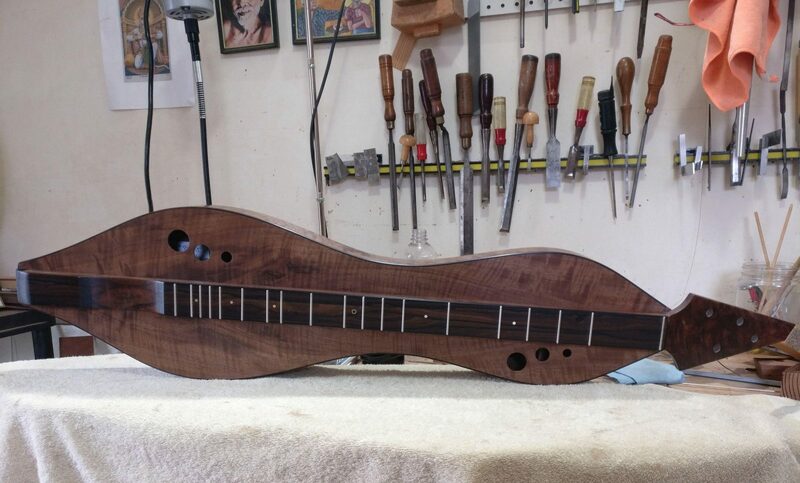 By the weekend this dulcimer will be ready for shipping to its new home. Zircote has become one of my favorite woods for fingerboards. It is similar to ebony but weighs less and is very strong and stable when quarter sawn. 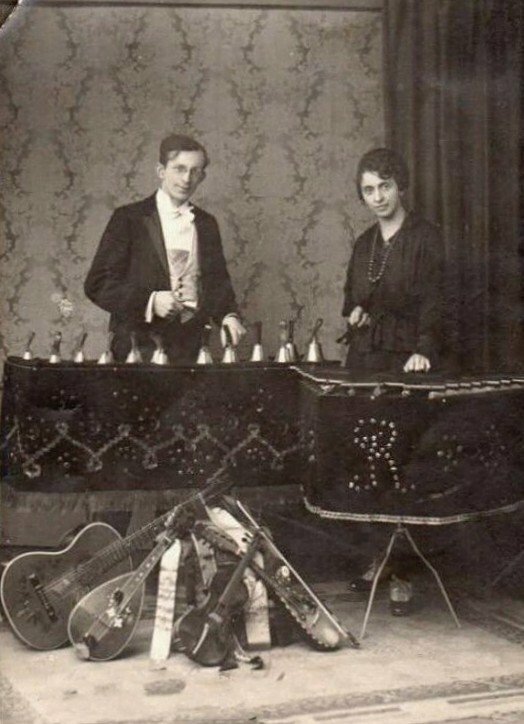 Some pieces show extraordinary figure but a plain looking piece also makes an excellent fingerboard. As I finish up this dulcimer I’m working on several others. 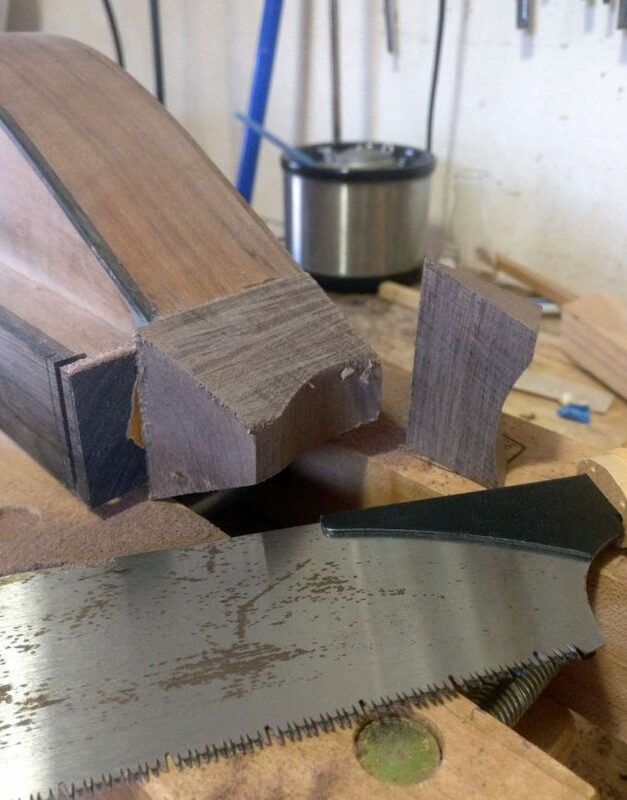 The photo below shows a zircote fingerboard over Spanish cedar (another of my favorite woods) and the raw materials for two more Spanish cedar and zircote fingerboards. As I always say, the trees do the hard work! You can see more frequent photos of dulcimers in progress by following me on Instagram. 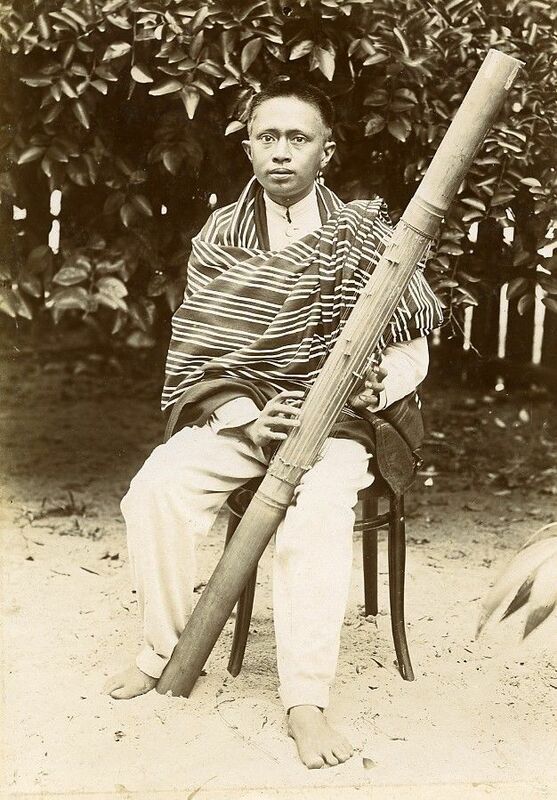 Malagasy musician with a valiha. I don’t always know what to name certain parts of dulcimer anatomy. 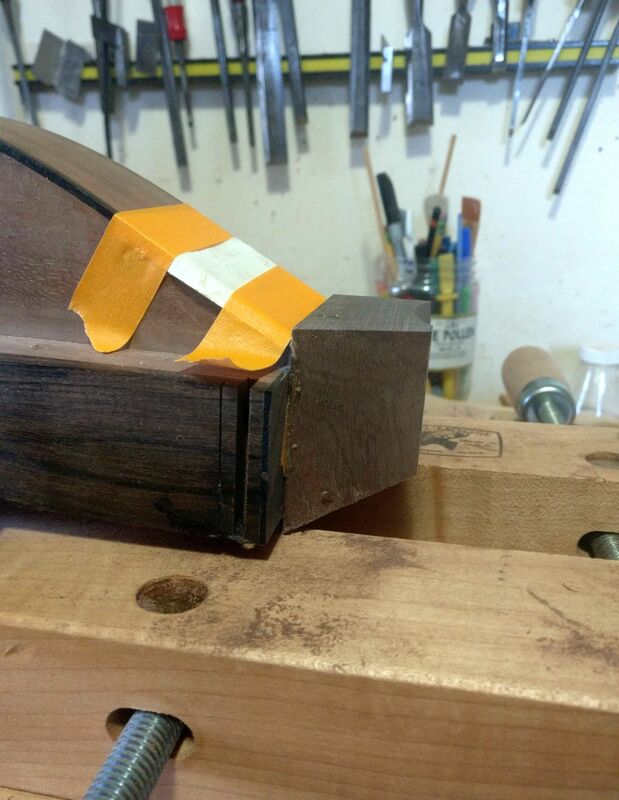 I glue a block to the end of the dulcimer, shape it, and then glue the peghead to that block. 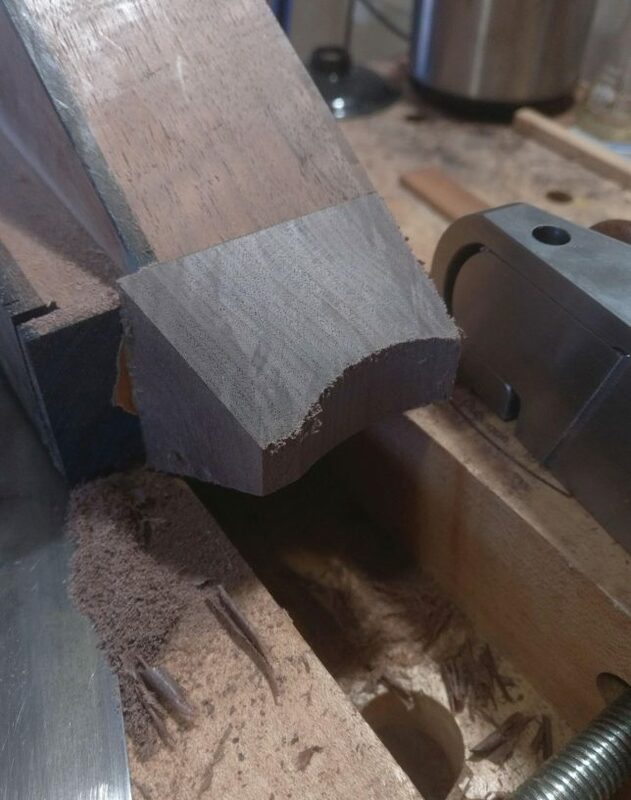 I sometimes refer to this part as the head block but that could also be the name of the end block in the peghead end of the dulcimer. For today I will refer to the part in question as a peghead support block,. Why not? In the photograph above I have already shaped one side of the block and have prepared to shape the other. The dulcimer is clamped to the bench and some cardboard is taped to the side to protect it from the edge of saw used to made the cut as shown below. After sawing away the waste I clean up the work with a block plane, scraper, and file. There is still carving and shaping to do before the peghead goes on but the rougher aspects of the work are now complete.